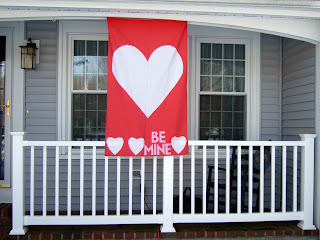 February brings Valentines to mind and the sentiment I sewed onto this flag is a nod to the Necco candy hearts we have all enjoyed over the years. Click here to read about the history of Valentine's Day. These are so adorable! Thank you for sharing it with us at Sewlicious Home Decor! Pinned! The flag is "sew" very sweet and simple. It's just perfect. Perfect tribute to those wonderful Conversation hearts! Still love eating a few now and then. Thanks for sharing with SYC.